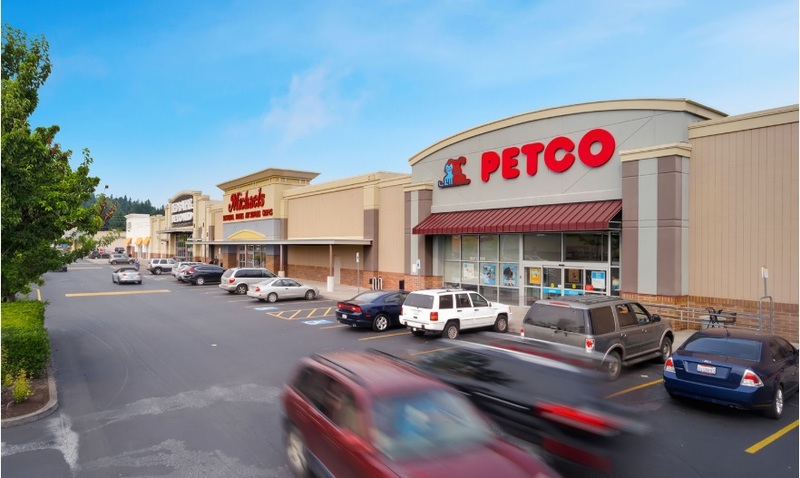 LONGVIEW, Wash. – (RealEstateRama) — CBRE Executive Vice President Philip D. Voorhees announced today that the National Retail Partners-West (NRP-West) completed the sale of Triangle Center in Longview, Washington, a community center, 98 percent leased to high performing, national and regional credit tenants including Winco Foods (not a part), Ross Dress for Less, Bed Bath & Beyond, Michaels, Petco, Rite Aid, Ace Hardware, Ulta Beauty, Big 5, Office Depot along with Five Guys, Great Clips, GameStop and others. The purchase price was $38.3 million. Triangle Center at 1015 Ocean Beach Highway in Longview, Washington, was purchased for $38.3 million. CBRE retail experts Jimmy Slusher, Kirk Brummer, James Tyrrell, Dino Christophilis, Alex Martinac and Voorhees represented the seller, Highlands REIT, a Chicago-based investment trust. The private buyer, based in San Diego, purchased Triangle Center to complete a 1031 exchange. CBRE’s Debt & Structured Finance team led by Shaun Moothart and Danielle Priore exclusively advised the buyer in procuring debt financing for the acquisition. 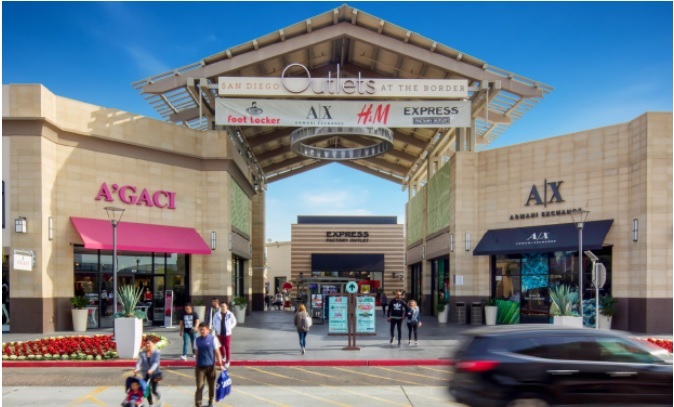 Outlets at the Border in San Ysidro (San Diego) is listed for sale for $55,967,000 with bids due on October 18, 2018, according to CBRE’s National Retail Partners-West (NRP-West). “Our team canvassed the debt market to drive leverage to a 72.5 percent loan-to-value, at a 154-spread with multiple years of interest only, maximizing the buyer’s levered cash on cash returns,” said Moothart. Built in 2004, Triangle Center is a 260,627-square-foot community shopping center, situated on 36.9 acres of land at 1015 Ocean Beach Highway in Longview, roughly one hour north and west of Portland. CBRE’s marketing efforts produced more than 284 confidentiality agreement/offering memoranda distributed and through the team’s “managed bid” offer process, generated multiple offers to purchase the property, according to Slusher. With this closing, CBRE’s NRP-West team topped $10.9 billion in successfully closed retail investment sale transactions. Select NRP-West team California listings include: Vista Village in Vista, listed for $78,662,000; Outlets at the Border in San Ysidro listed for $55,967,000 with bids due on October 18, 2018; Market Place at Oxnard in Oxnard, listed for $40,250,000; Brea Towne Centre in Brea, listed for $20,970,000; and Westport Square + Plaza in Costa Mesa, listed for $20,940,000. 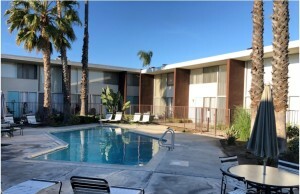 More information is available at nrpwestlistings.com. The NRP-West team focuses exclusively on retail investment properties in the western states, including CA, OR, WA, NV, AZ and HI, representing the most accomplished retail investors in the US. The team’s ability to collaborate across CBRE’s multi-discipline platform enhances its role as strategic advisors to western U.S. clients in the disposition and acquisition of retail properties and ensures the delivery of superior results in today’s investment market. Long recognized as industry-leading investment experts, the NRP-West team continues to specialize in portfolio sales, anchored centers, strip centers, single-tenant assets, specialty retail projects, REO and Receivership assets and parcelized disposition strategy opportunities. Based in Orange County, California, the team consists of specialists with institutional and private client relationships and leverages institutional quality knowledge and service across unparalleled access to private capital investors and the brokers who represent them, domestically and around the world. View listings: nrpwestlistings.com.